Sloane Crosley read from her new essay collection Look Alive Out There, and talked about choosing the most entertaining parts of her life to write about and not letting subjects give feedback about her writing. 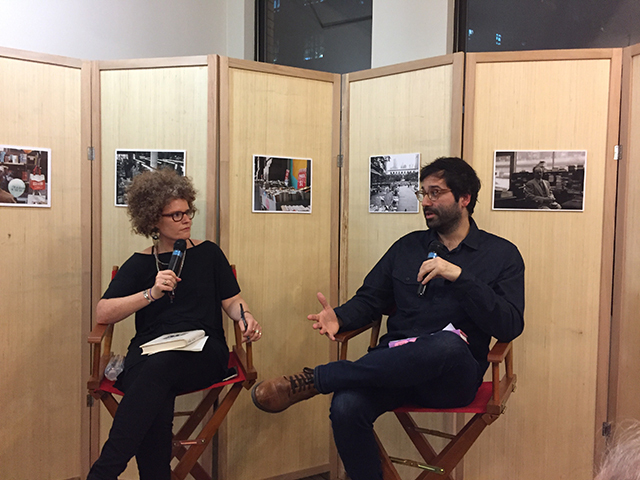 Zack McDermott, author of Gorilla and the Bird, and Jaime Lowe, author of Mental, discuss bipolar disorder, writing memoirs, and lithium. 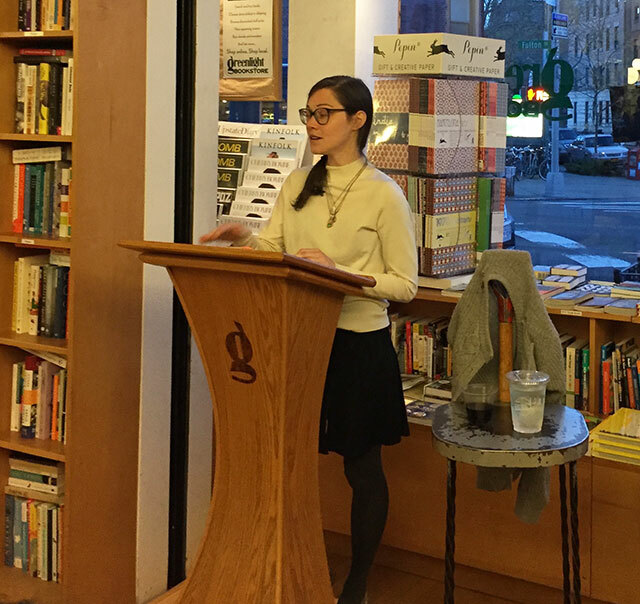 Sarah Gerard discusses her new essay collection, Sunshine State, Florida as a character, class awareness, and the evolution of the collection. Helen Garner read from her latest book of essays, Everywhere I Look, a collection that spans ten years of writing and various subjects. 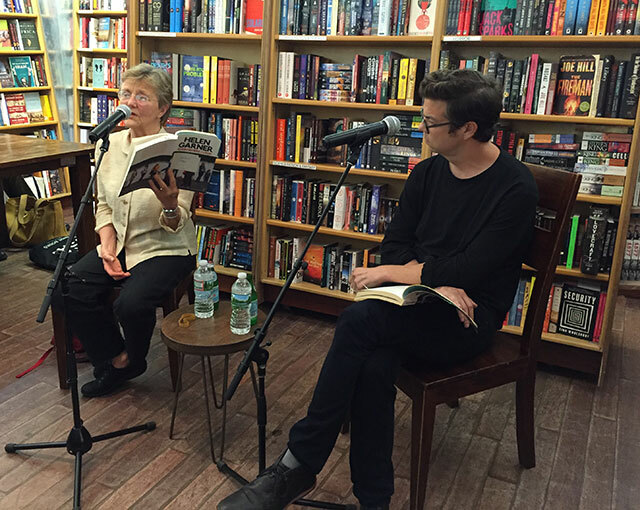 She spoke about writing essays and writing her previous books with Ben Lerner, author of The Hatred of Poetry. French author Adrien Bosc explores the lives of the passengers of an ill fated 1949 Air France flight in his new book Constellation. Based on the real people aboard the plane, Bosc extrapolates fictionalized vignettes and narratives about their lives drawing from what they left behind. 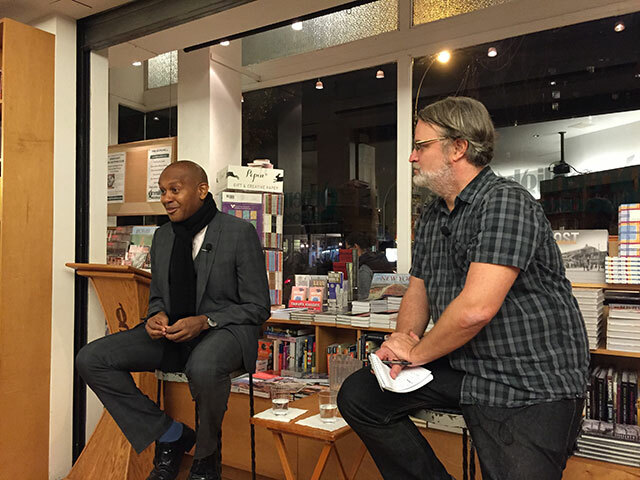 He spoke with David Samuels, the literary editor at Tablet, at Greenlight Bookstore in Brooklyn. The book was translated from the French by Willard Wood. 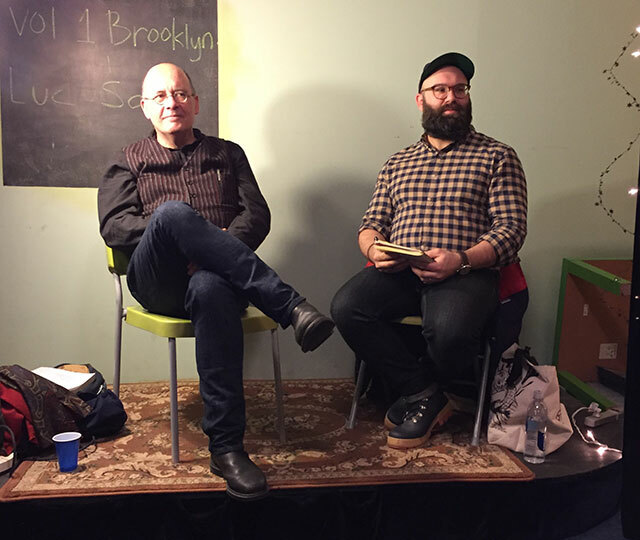 Luc Sante discussed The Other Paris with Jason Diamond of Vol 1. 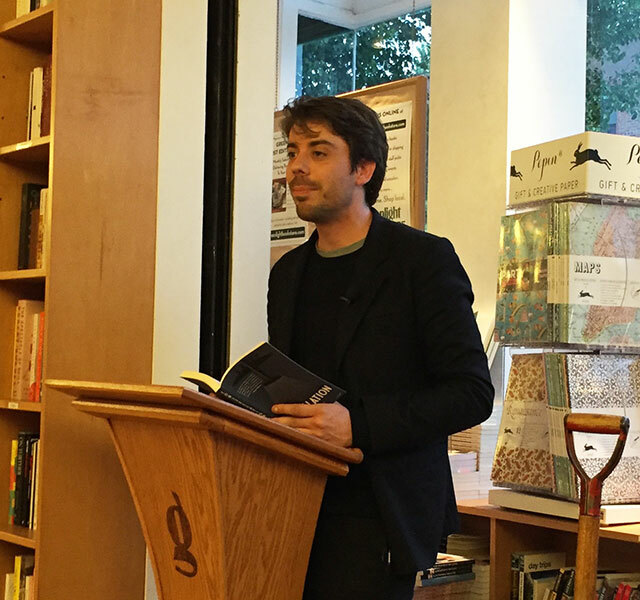 Brooklyn at WORD Bookstore in Brooklyn last week. Sante previously has written Low Life: Lures and Snares of Old New York, a portrait of the city. The Other Paris similarly explores Paris. Kevin Powell is a poet, activist, former candidate for Congress, author, and even once starred in a reality television show before reality television was a thing. His memoir The Education of Kevin Powell follows in the tradition of other autobiographies and traces his origins in Jersey City to his life in Brooklyn. He was a Greenlight Bookstore to discuss the book with journalist Ted Hamm. I first met Kate in a bookstore. She had already launched the website Last Night’s Reading a month or two before. I recognized her from other readings and saw that she was recording the event and drawing notes. A few weeks earlier, Bookstalker Julia Bartz had caught me in the act of notetaking and introduced herself to me so I followed her lead, introducing myself to Kate. I’m sure I frightened her with my enthusiasm. Over the following years, I’ve run into Kate at various events. She has a keen sense about choosing which events to attend, and whenever I see her in the audience, I feel reassured about my choice for the evening. Sometimes Kate, Julia, and I end up attending and then writing about / drawing the same event: when the trifecta is in the house, you know its going to be the very best type of event. 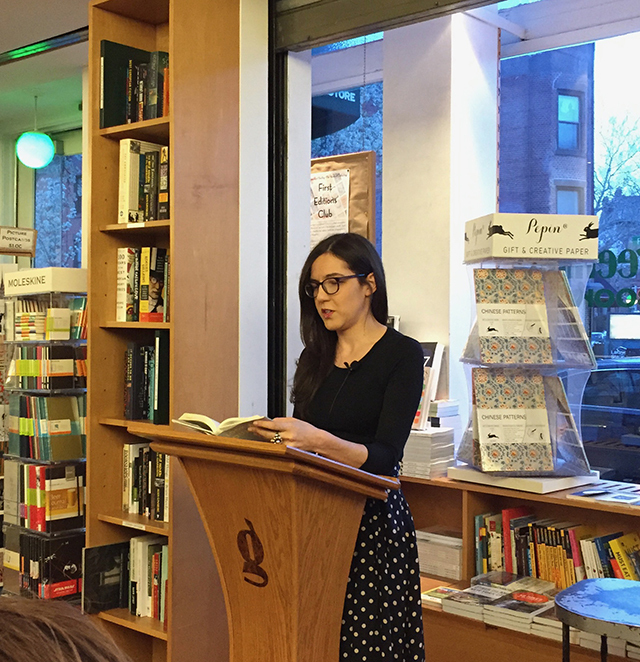 Kate Gavino launched her book Last Night’s Reading at Housing Works, but the event was as much a celebration of literary readings as it was the book. 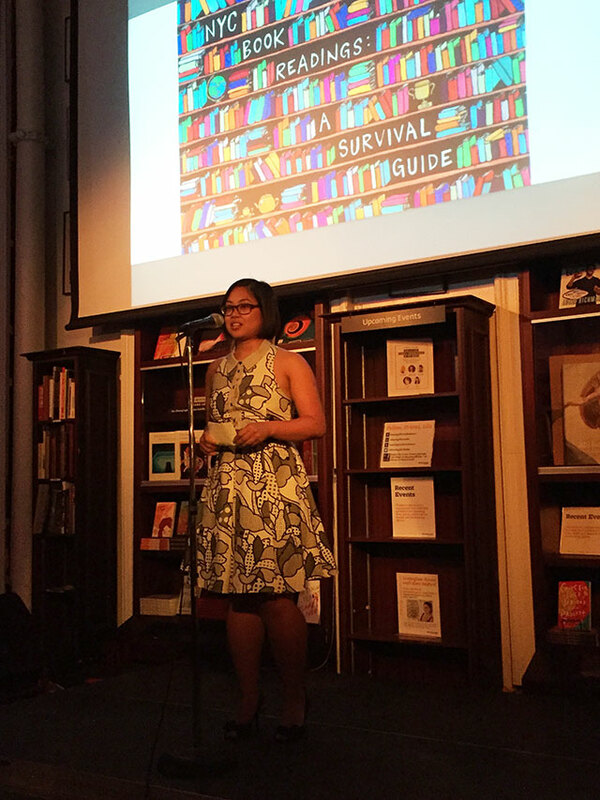 She assembled an A-List cast of authors to read embarrassing stories, and she presented slideshow survival guide to literary events.